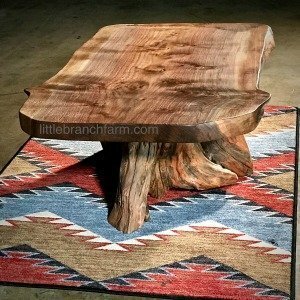 The wood slab coffee table is 48″ long 28″ wide 18″ high. Shipping is free within the continental USA. Other sizes are available. 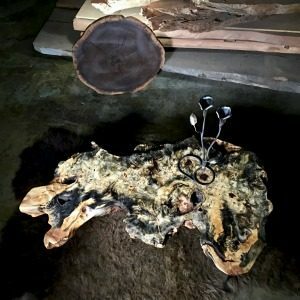 Walnut rustic coffee table with reclaimed root base and live edge wood slab. 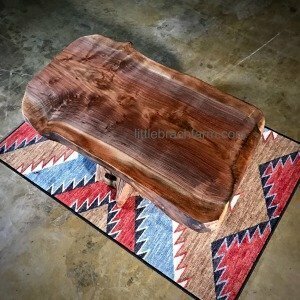 The wood slab is a Claro walnut salvaged from a walnut grove. 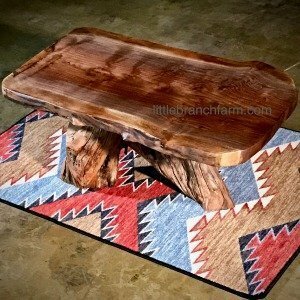 This live edge rustic table is a great example our rustic style live edge furniture made in Nashville, TN. 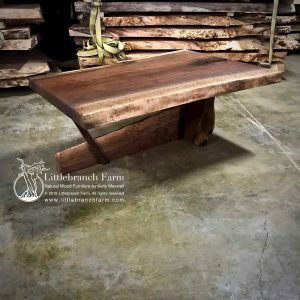 Each walnut rustic coffee table is one of a kind and we have other wood slab sizes available. We also offer other custom wood furniture, please call or email to start the process. Our custom furniture maker looks forward to working with you. 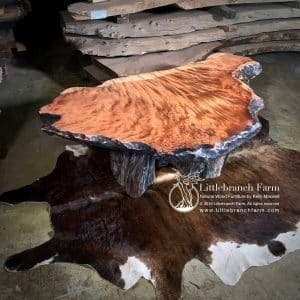 We also sell unfinished live edge wood slabs, driftwood, juniper logs and burl wood for the DIY projects.